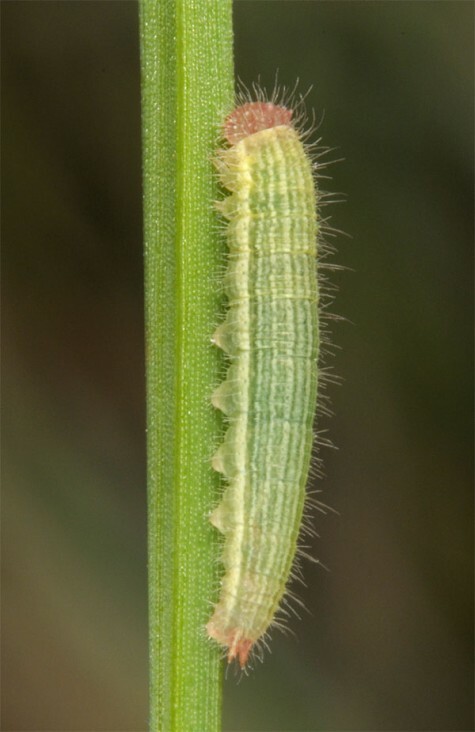 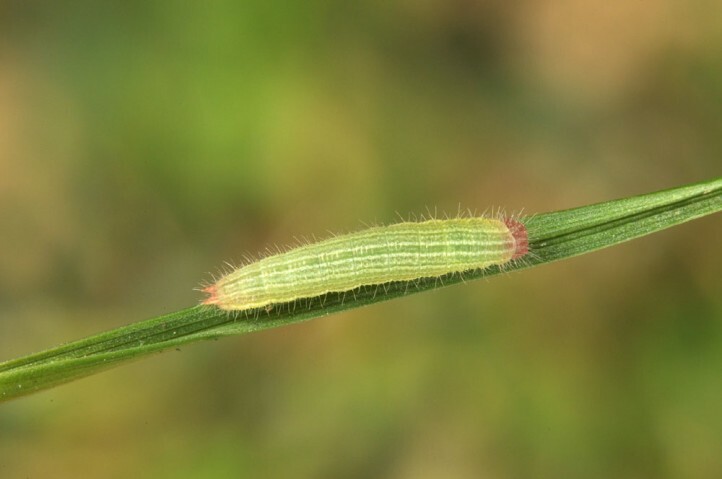 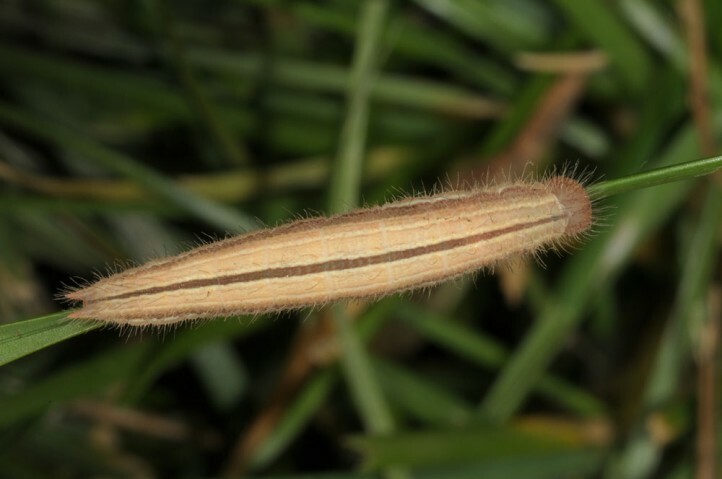 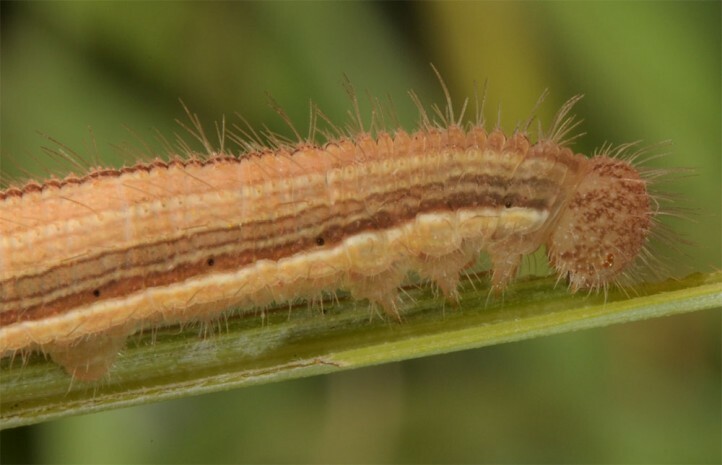 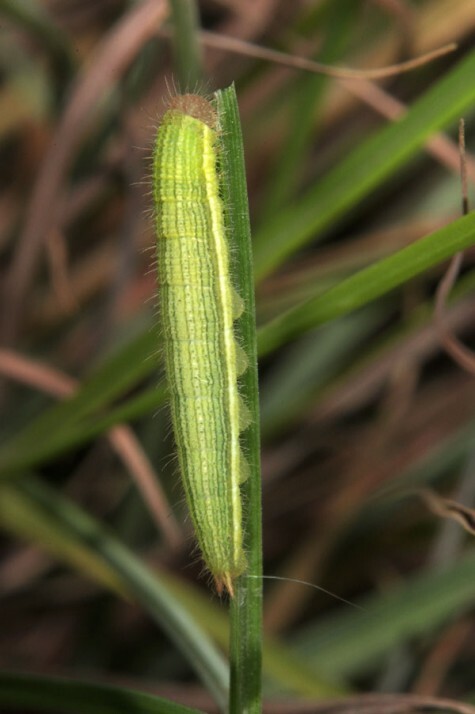 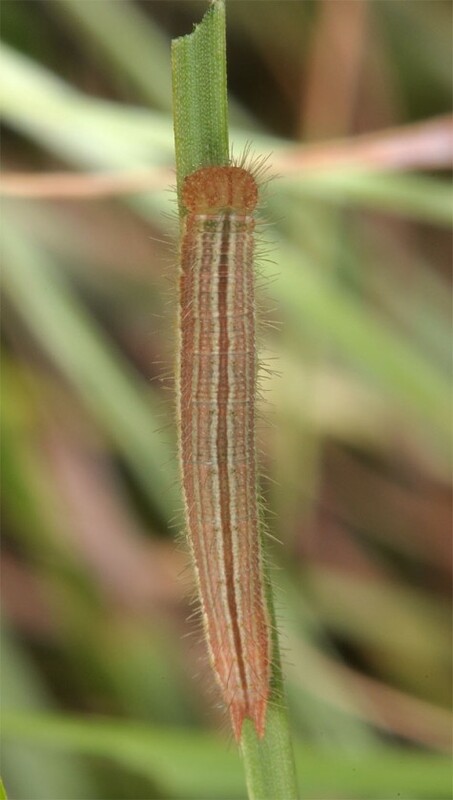 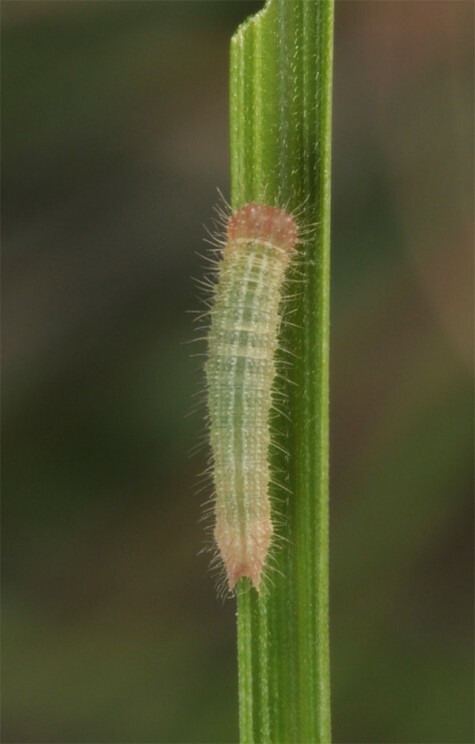 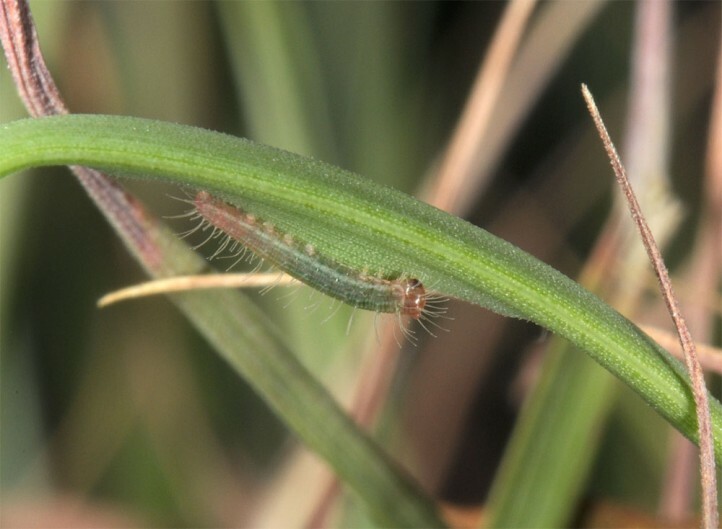 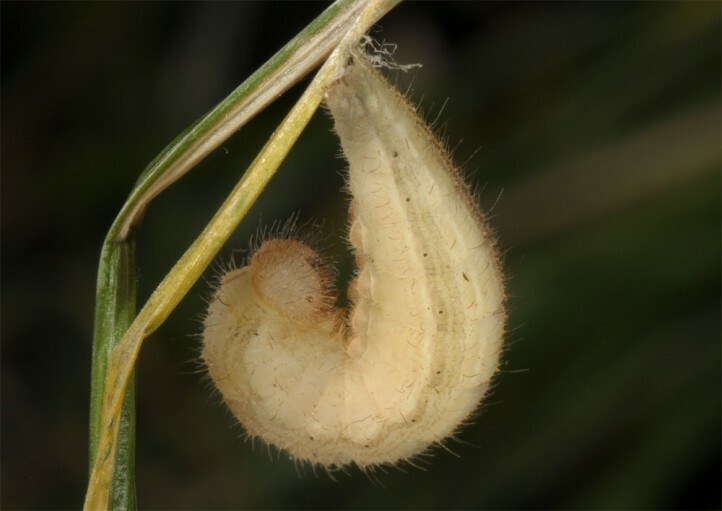 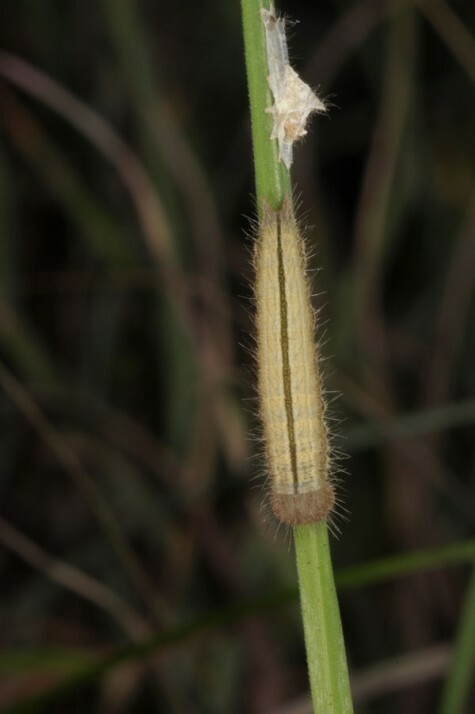 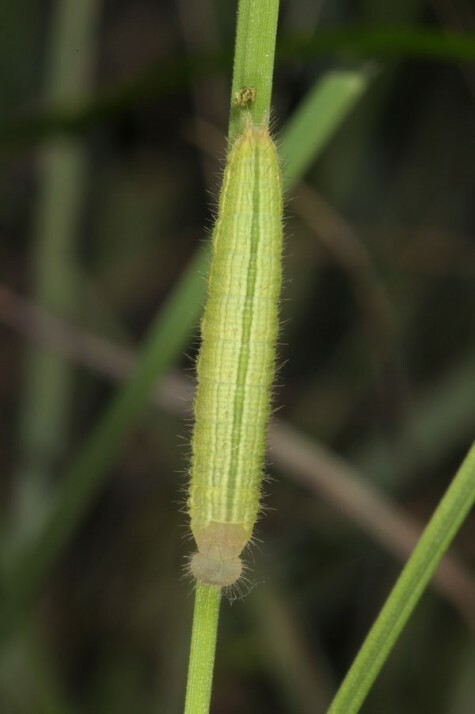 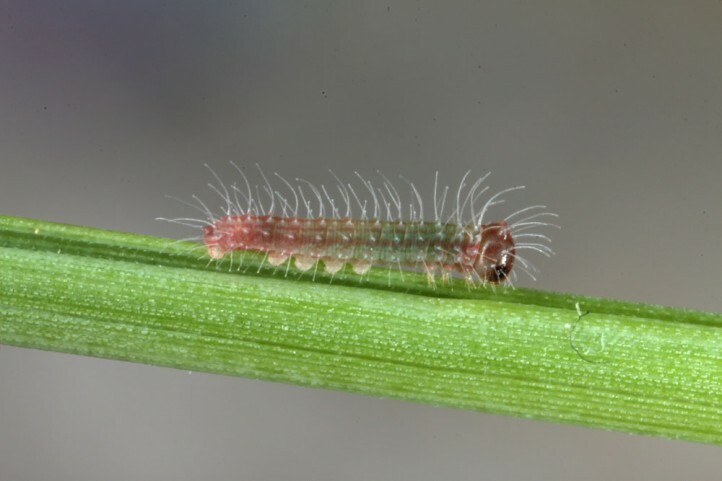 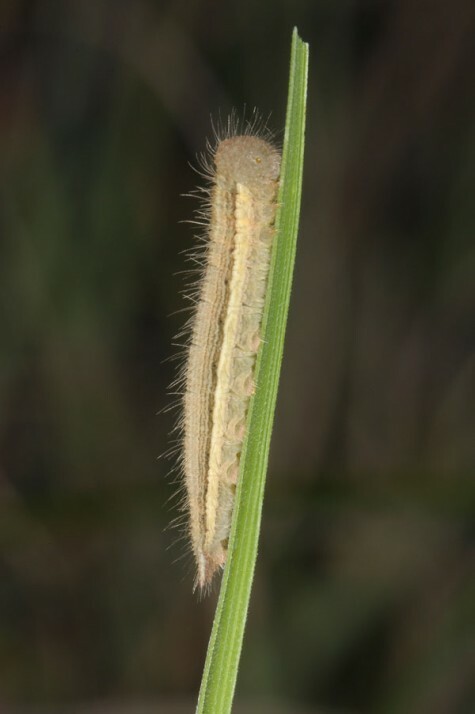 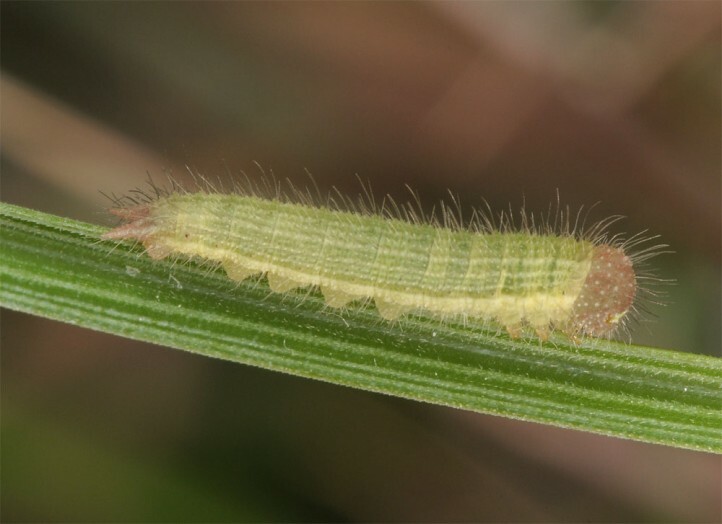 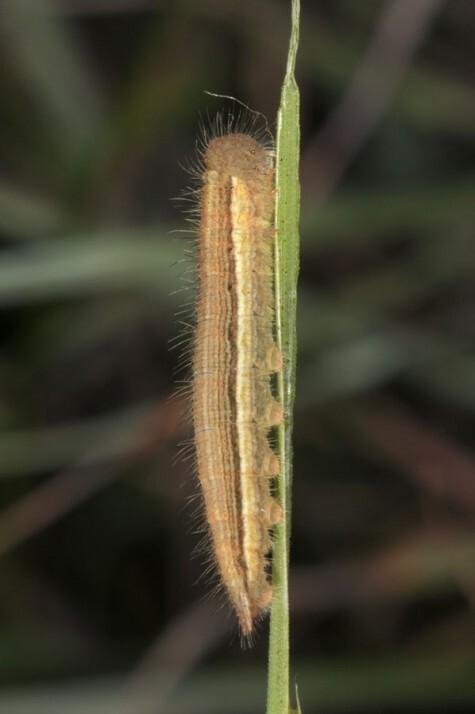 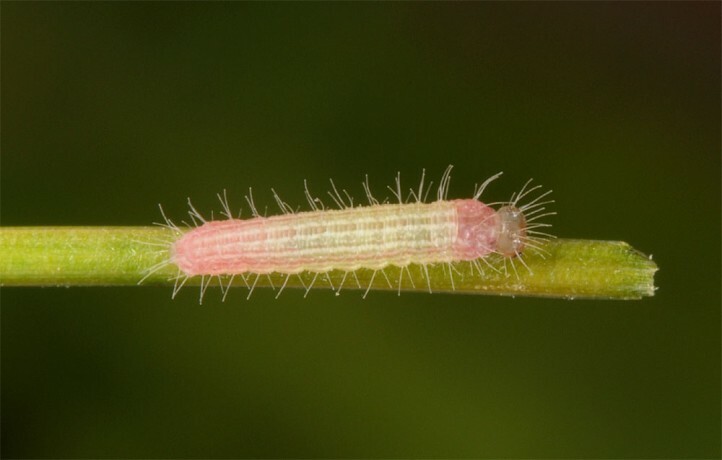 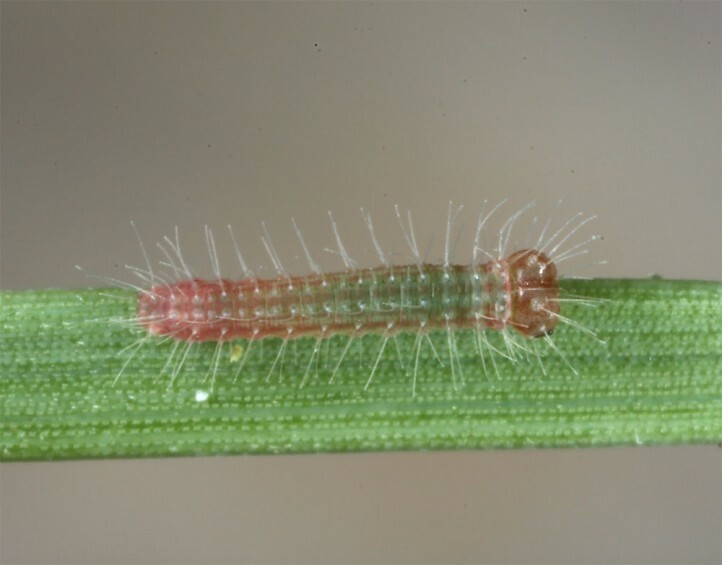 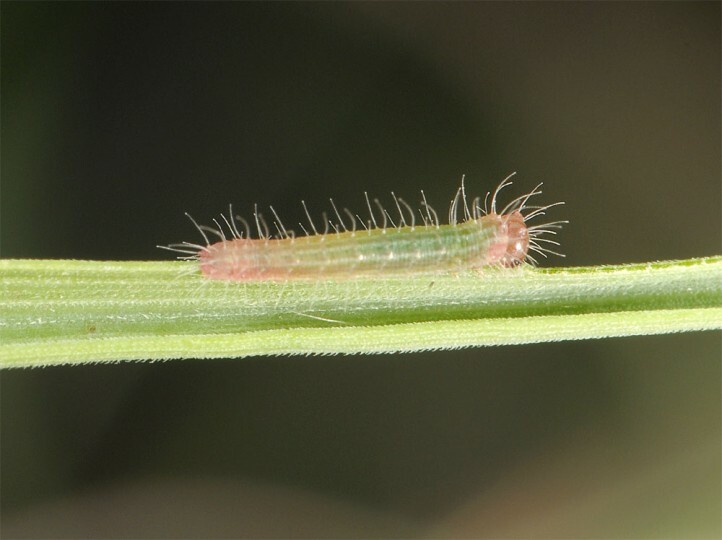 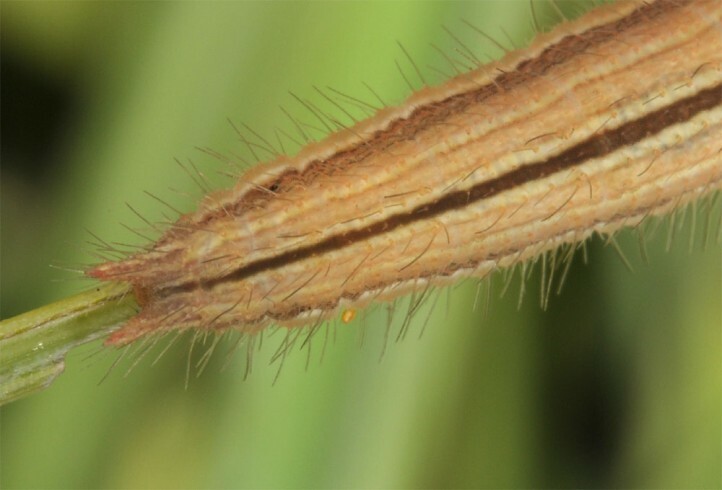 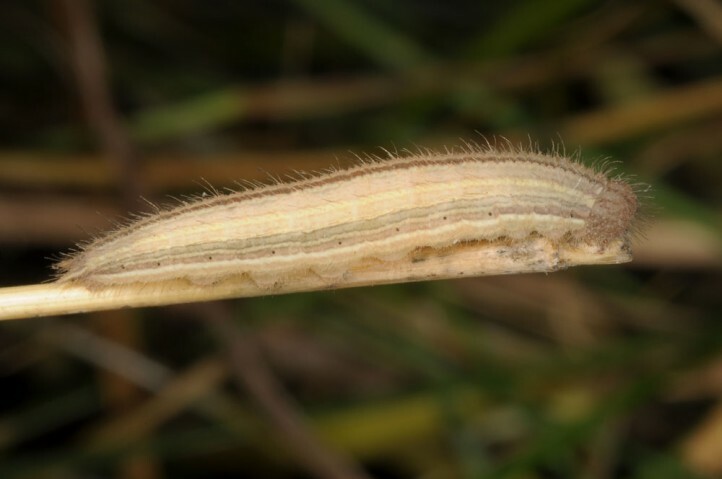 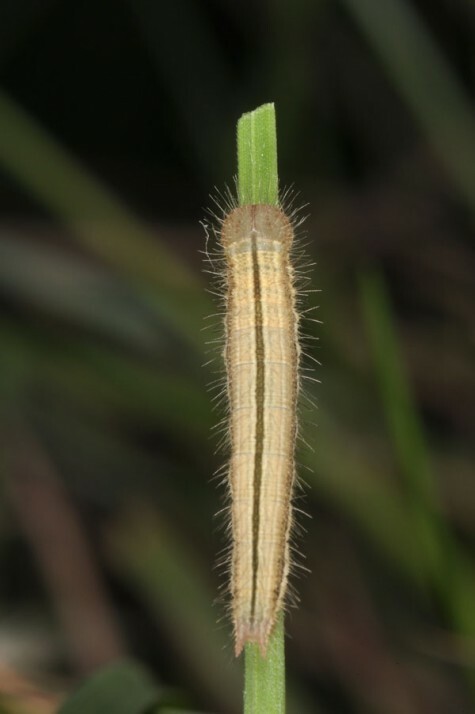 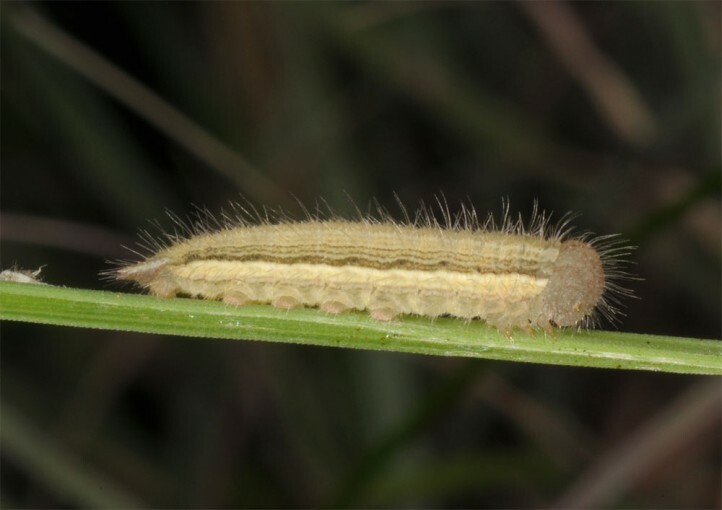 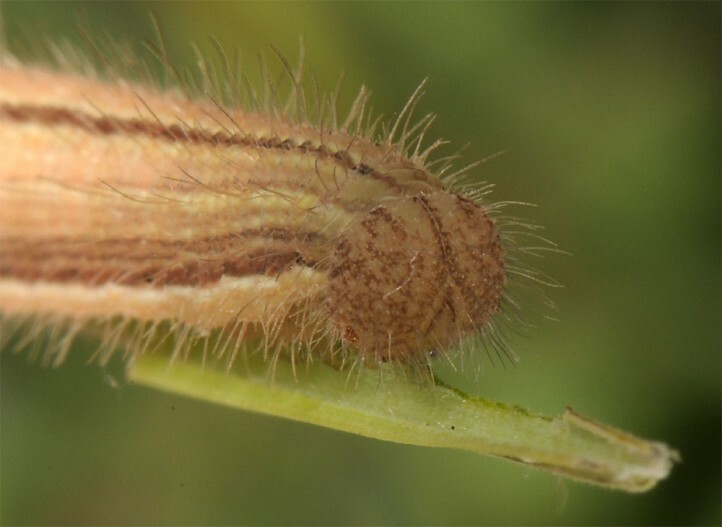 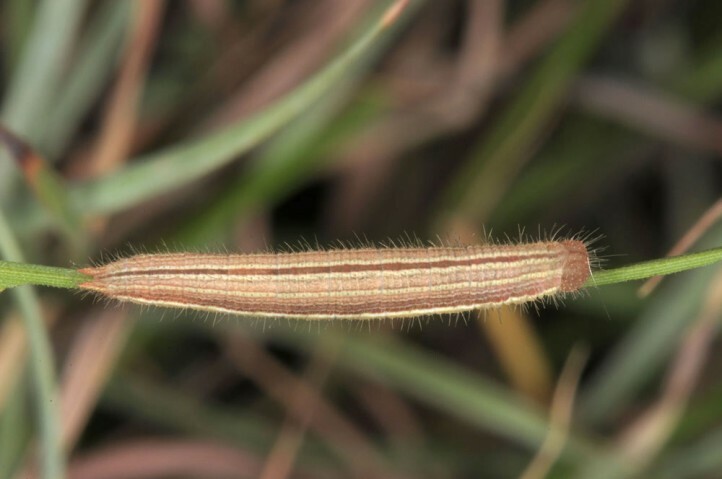 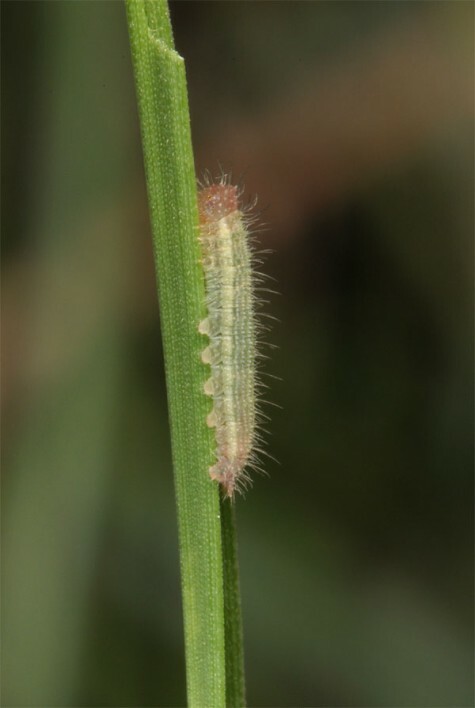 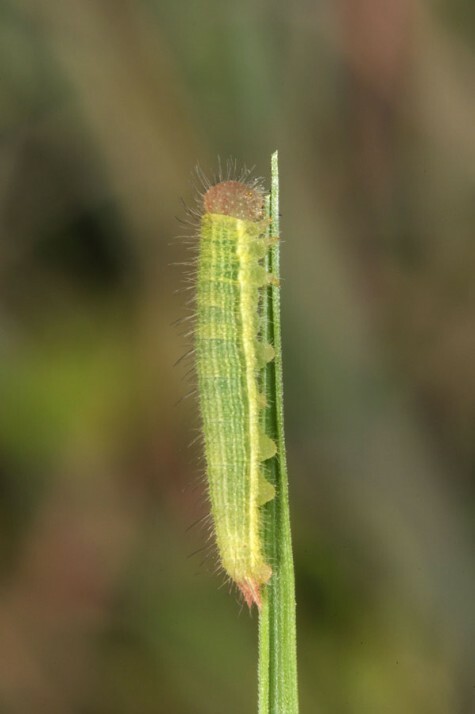 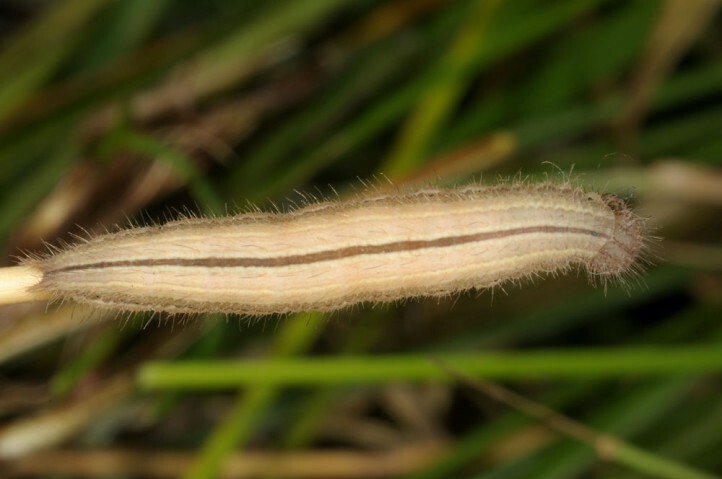 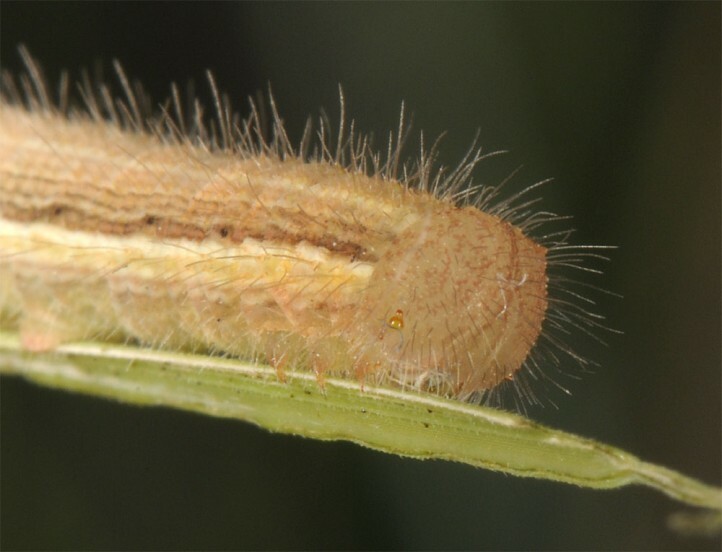 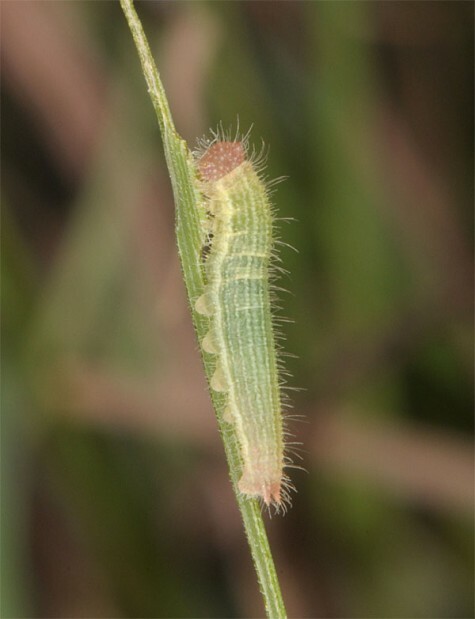 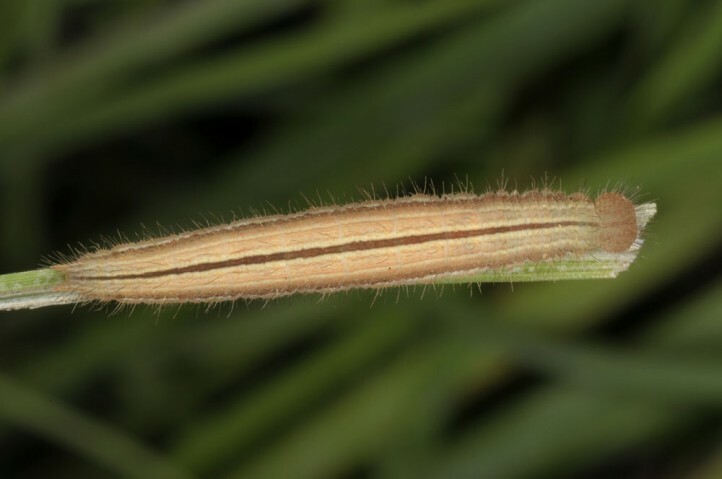 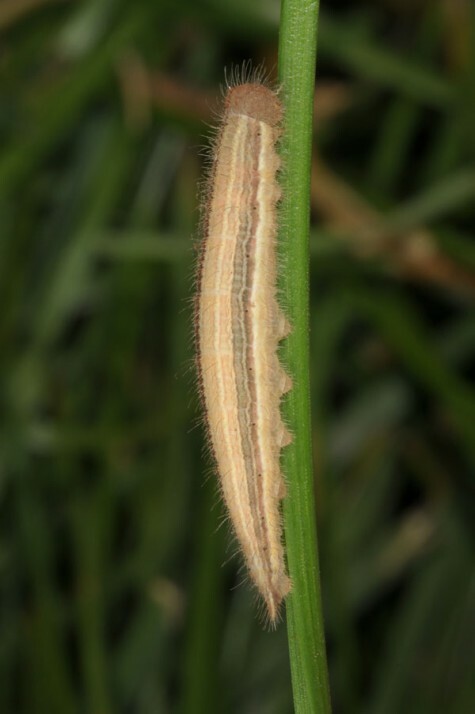 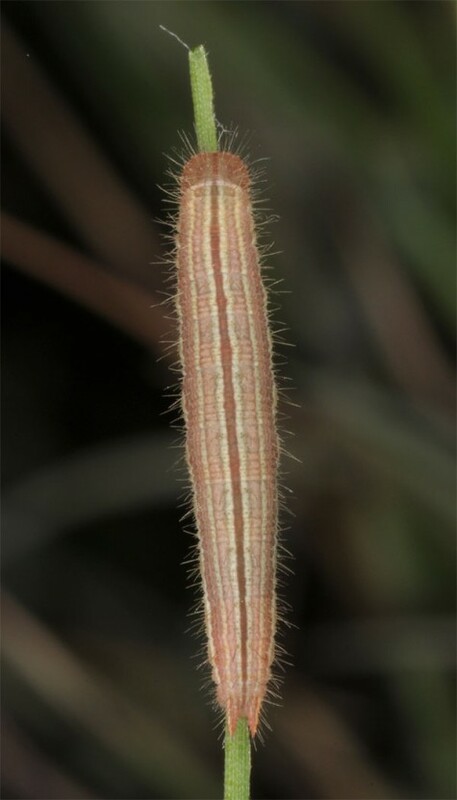 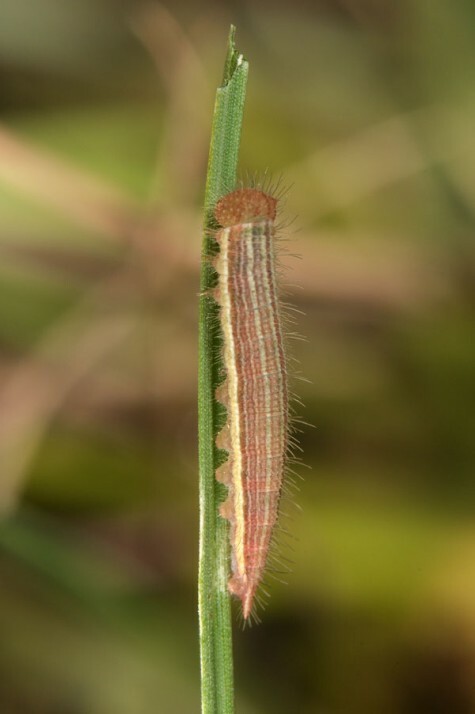 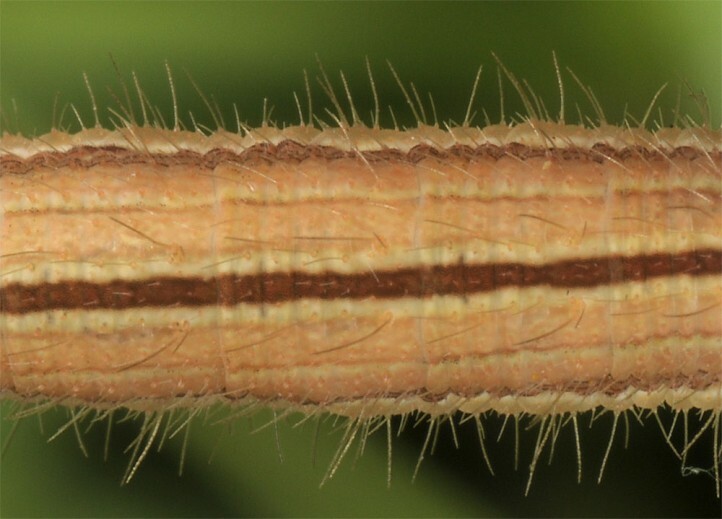 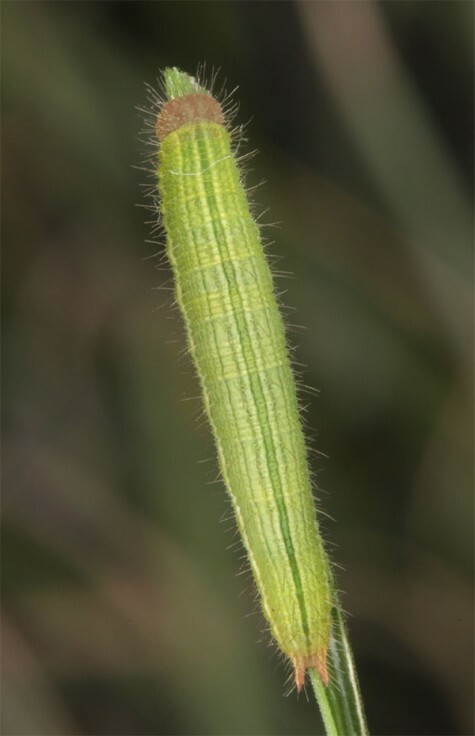 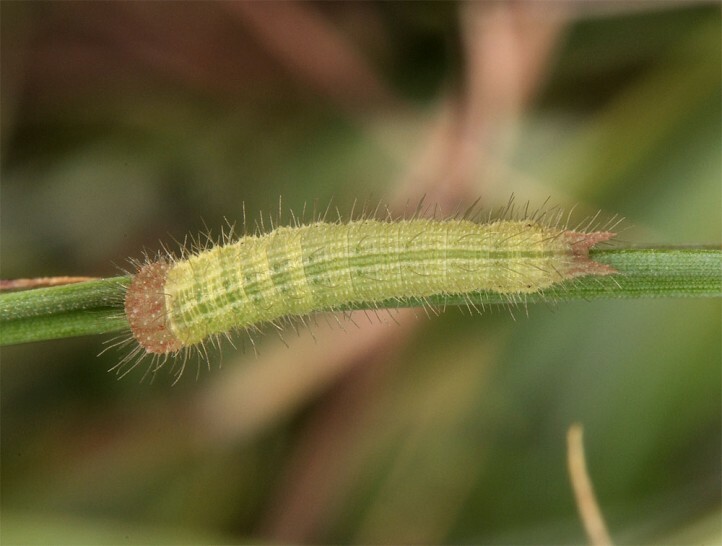 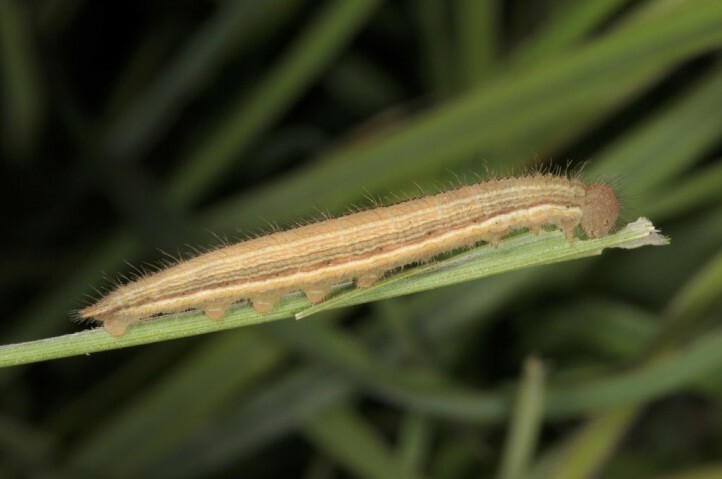 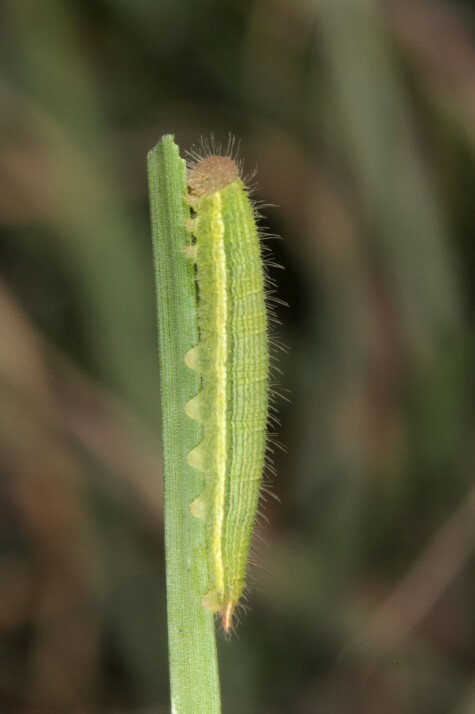 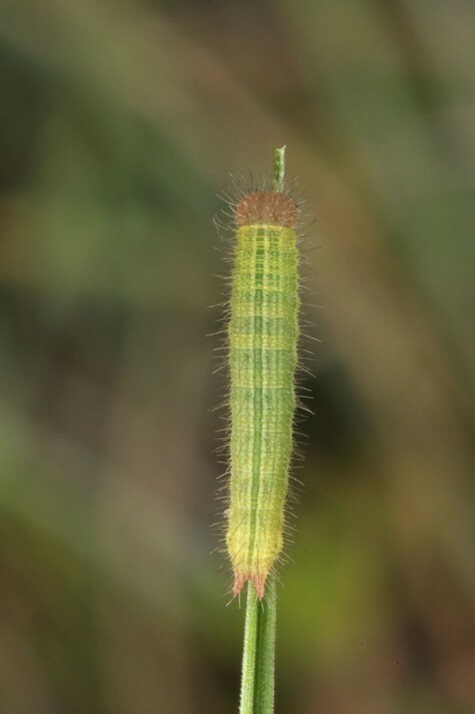 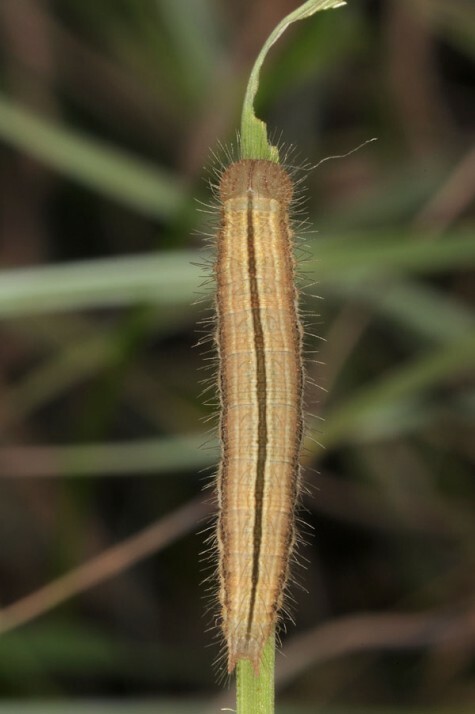 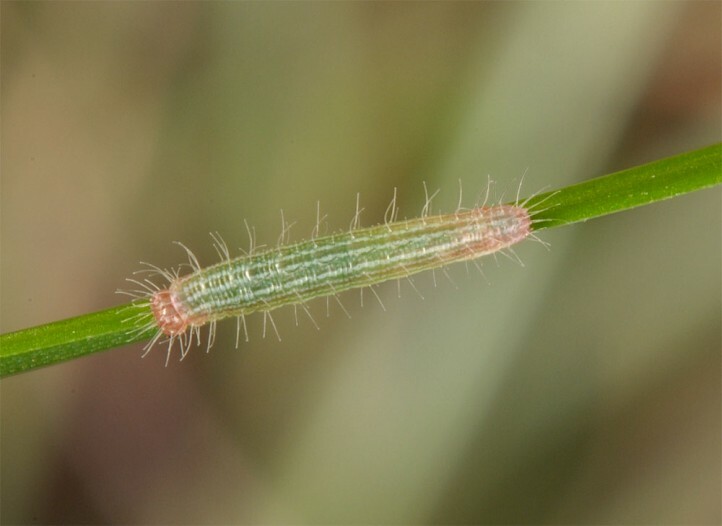 The larvae feed in the first place on the grass Hyparrhenia hirta (Poaceae). 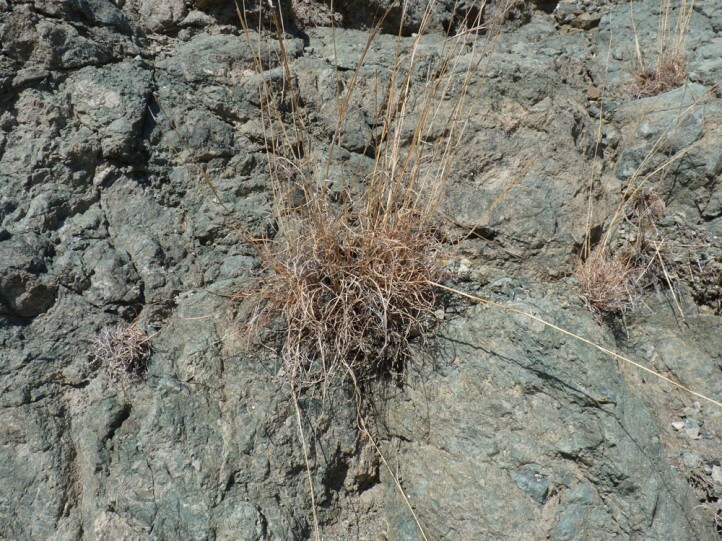 Ypthima asterope inhabits semiarid, most often rocky slopes and garigues, sometimes also stony, dry river beds and other hot places with host plants. 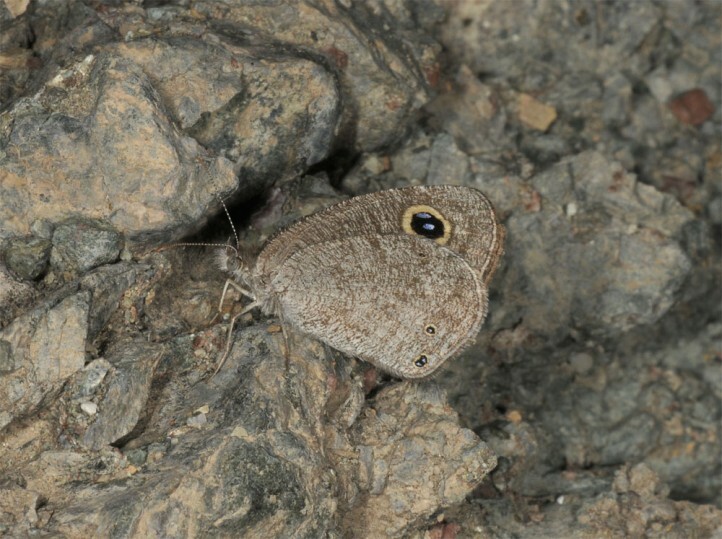 In the Eastern Mediterranean Ypthima asterope is mostly found near the coast below 400m, but in Arabia and Africa it settles also in the mountains. 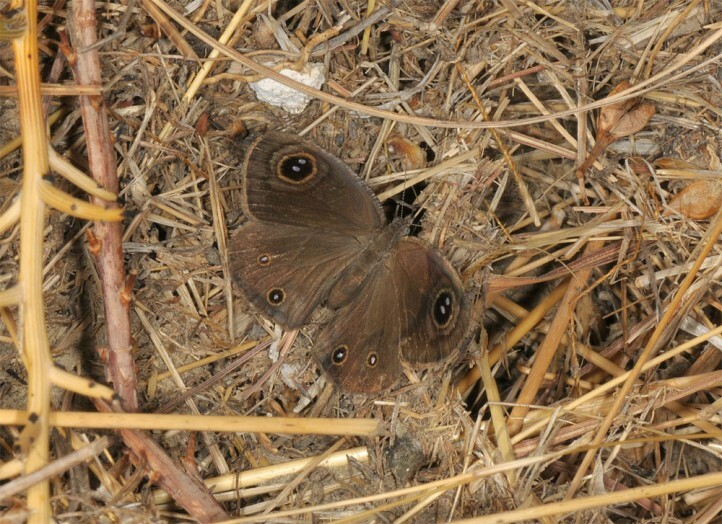 In the Eastern Mediterranen Ypthima asterope is found in several generations between March and November. 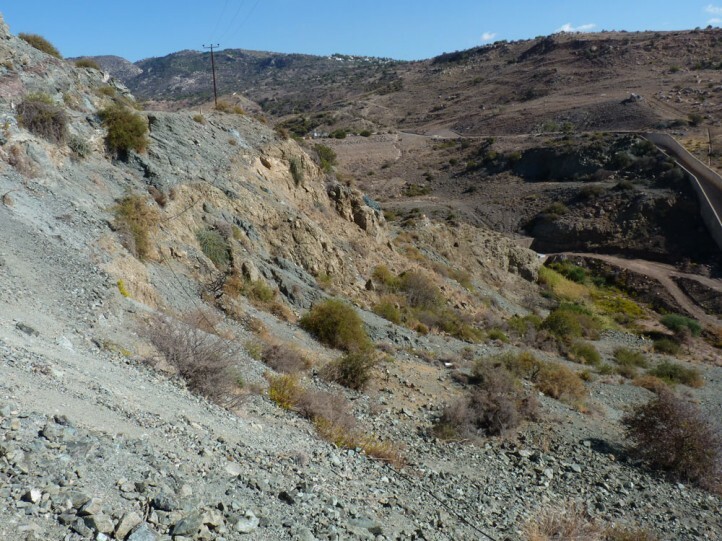 Summer drought constrains development. 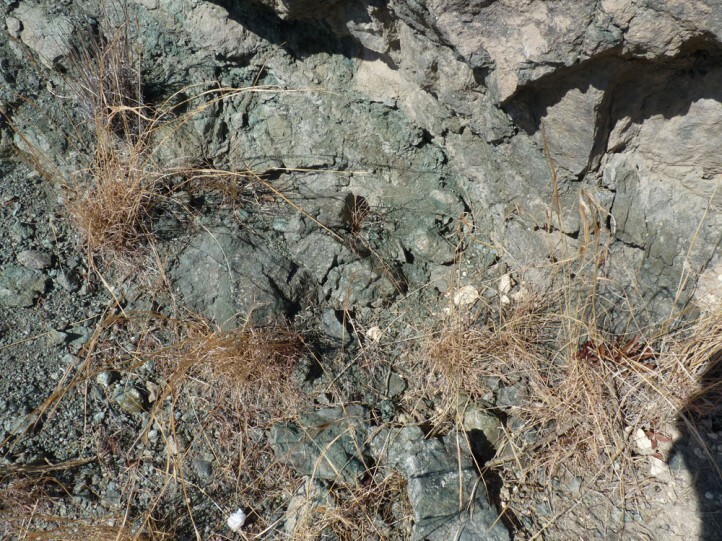 Thus it is most probable that there are two generations in spring (until June) and another in autumn (October/November). 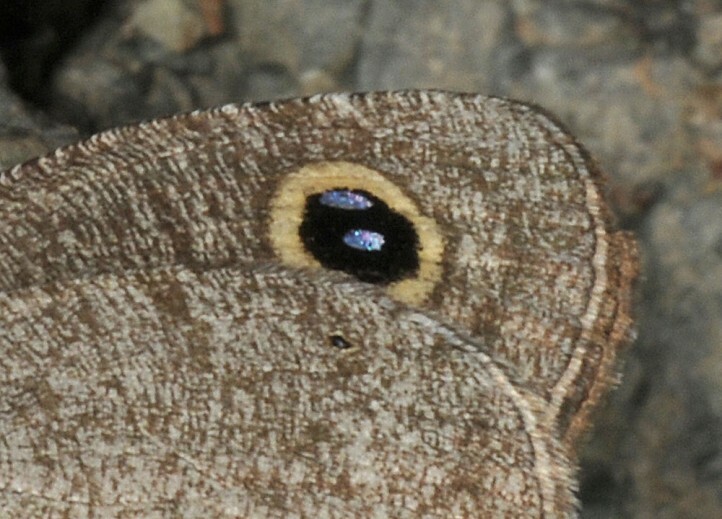 Butterflies are only exceptional in summer. 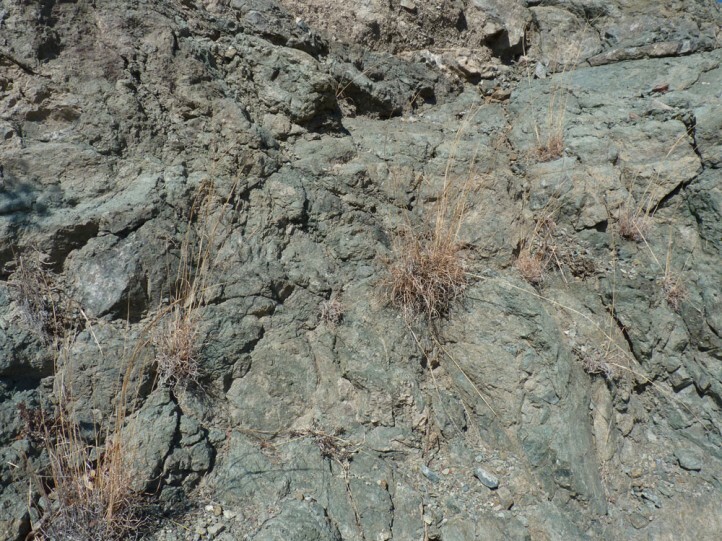 Generally the generation sequence is dependent on precipitation. 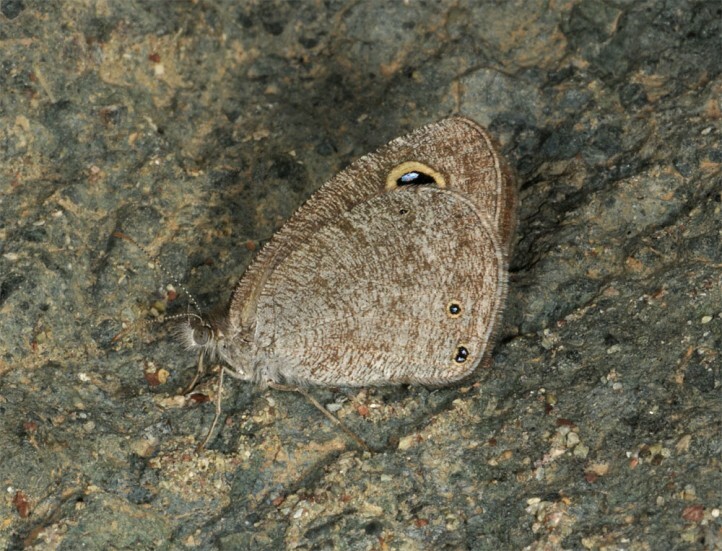 In Africa and Arabia Ypthima asterope can be found all the year (according to rainfall). 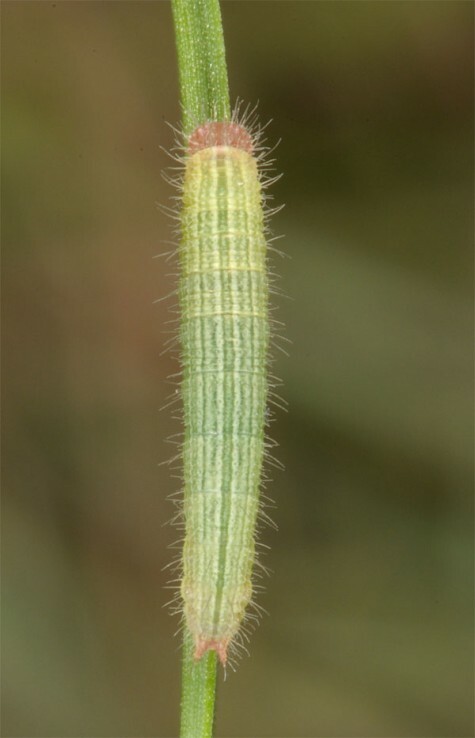 The adults visit flowers, but relatively rarely compared to other species. 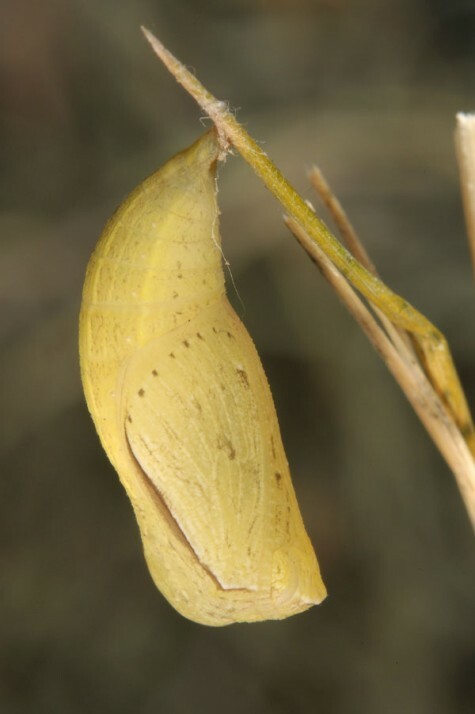 Especially in autumn there are often almost none flowers available in the habitat. 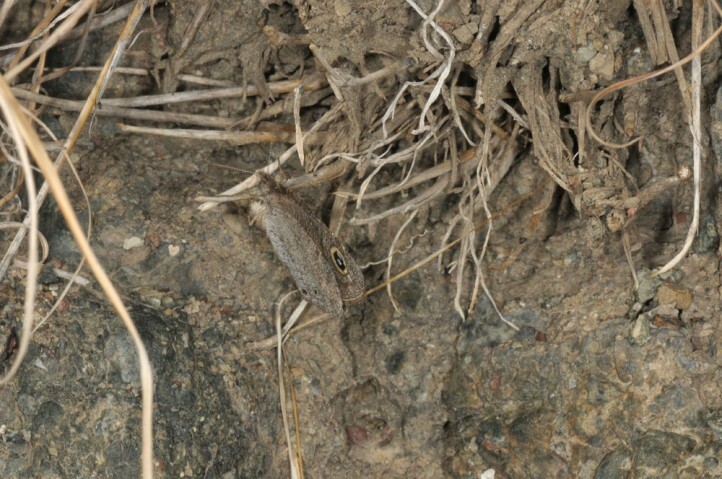 The males patrol arduous in the larval habitat and place themselves often, but only quite shortly, on stones or open ground. 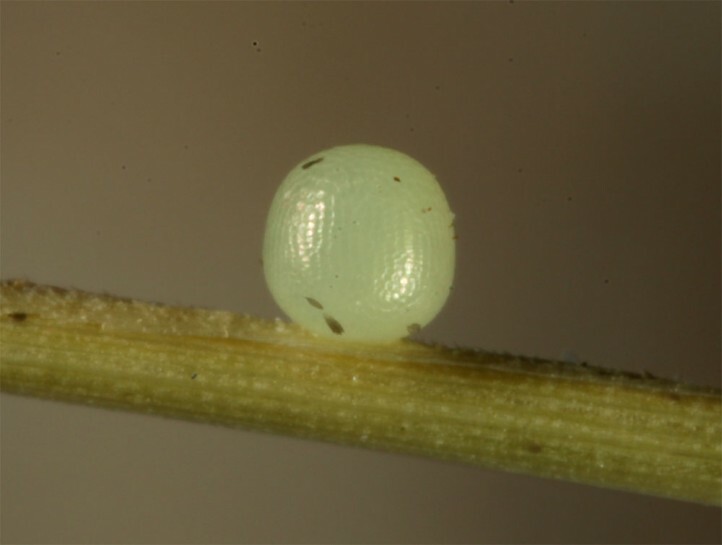 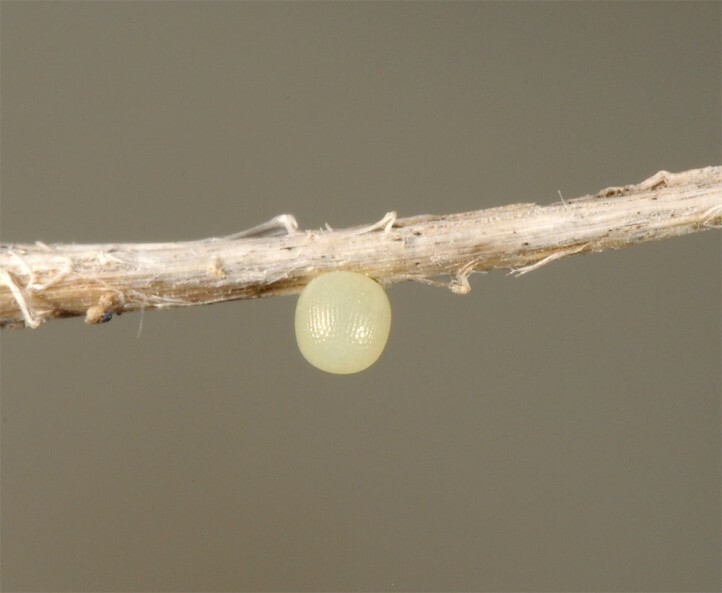 The females search places that are well heat-protected for oviposition. 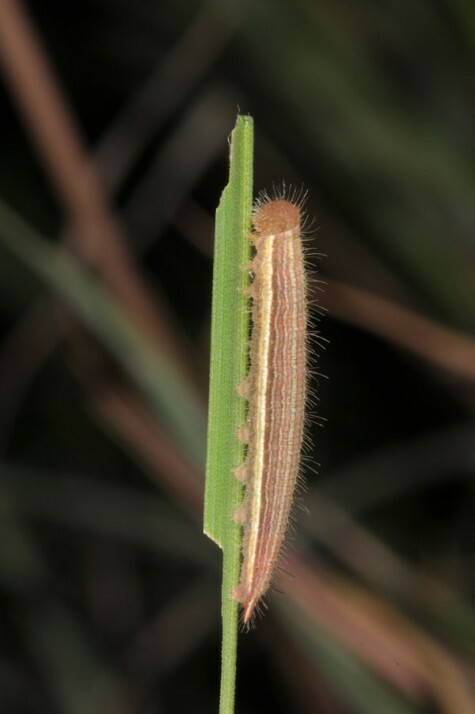 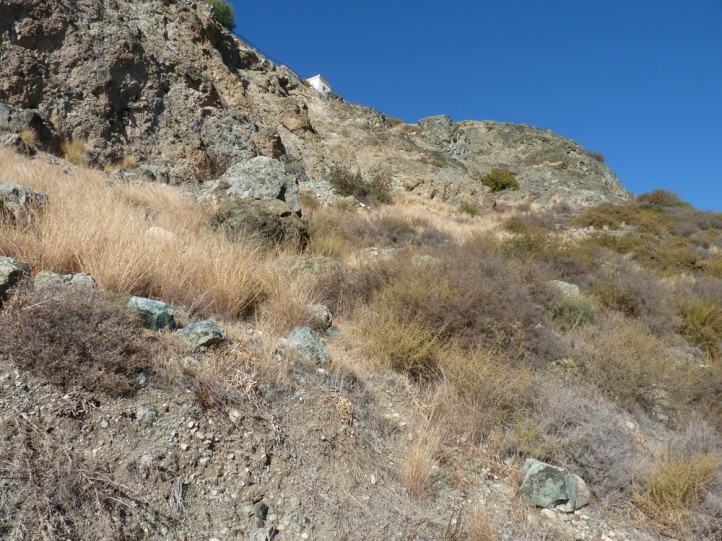 I observed females in Cyprus in November 2016 that oviposited partly on the outer base of Hyparrhenia tussocks on stalks protected from sun and partly also in some distance from this often only available grass e.g. 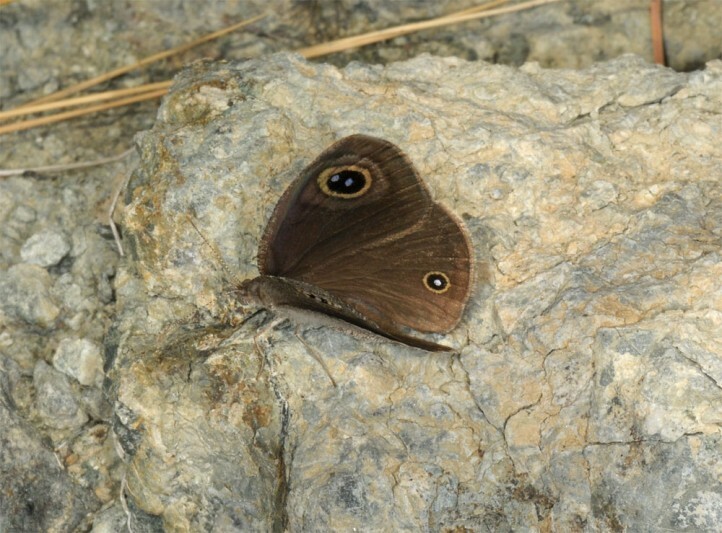 on dead leaves or sun-protected stones. 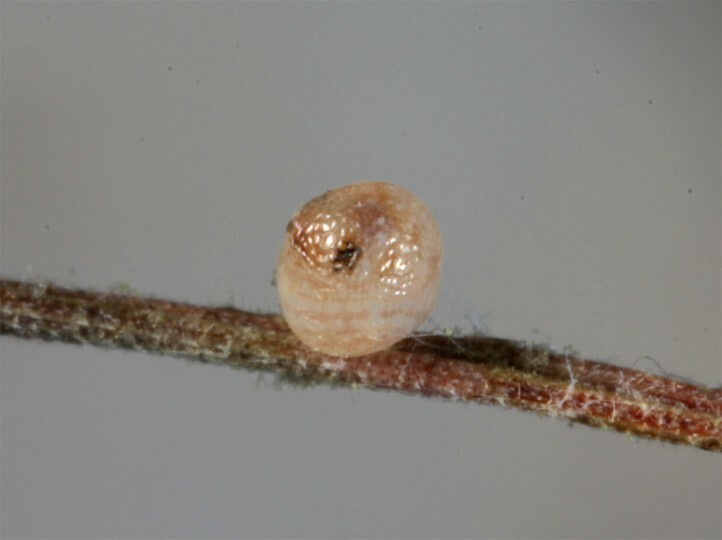 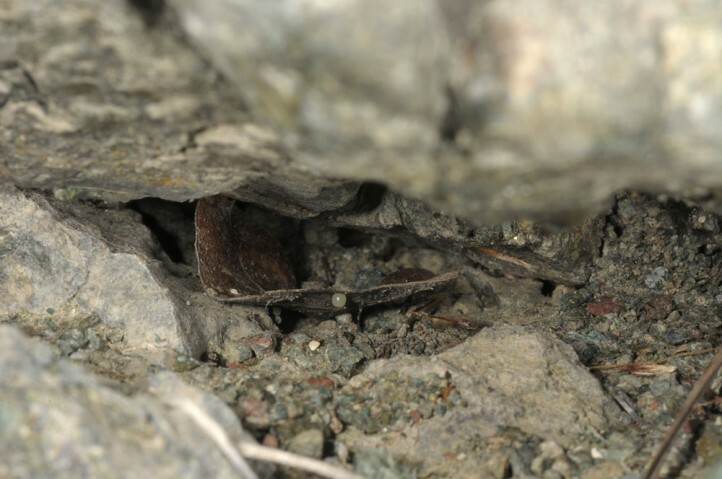 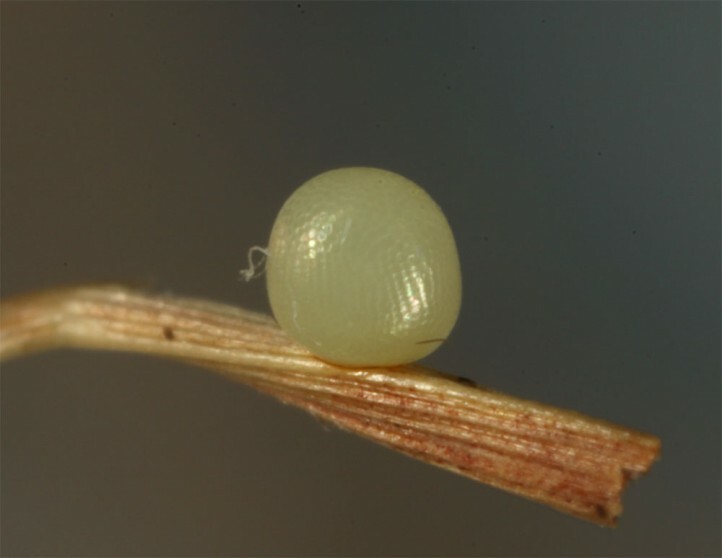 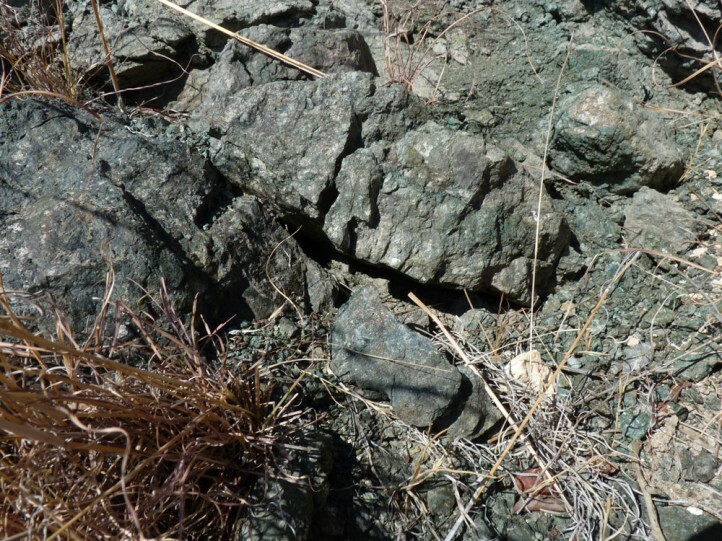 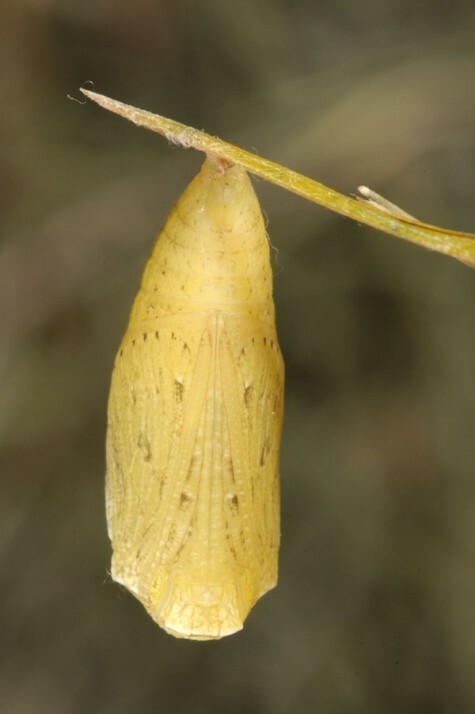 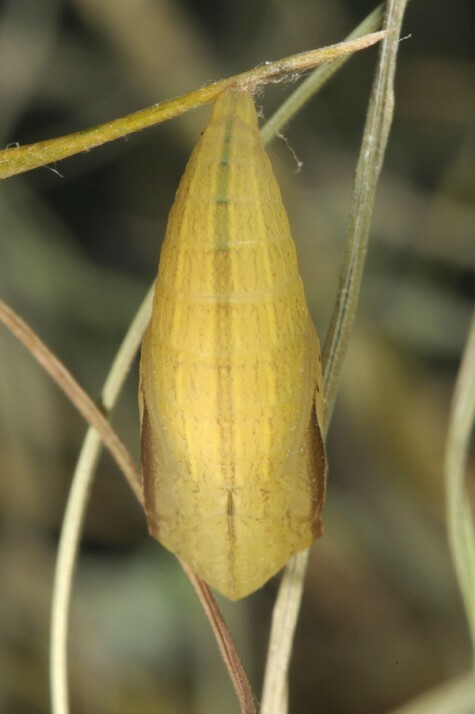 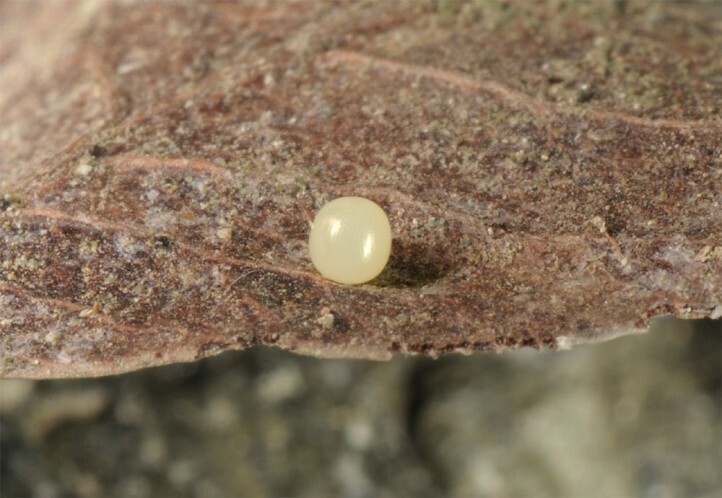 A female crept into a gap between stones and deposited the egg in a depth of 7cm on a dead leaflet that had been blown there by the wind (see photos). 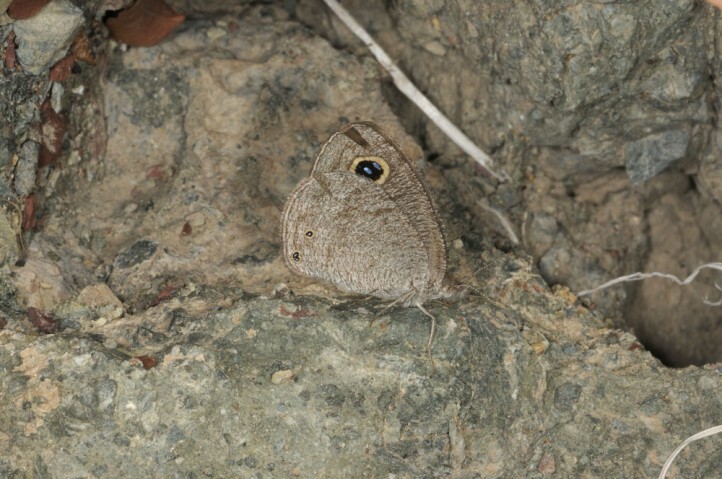 Most often the females search for suitable places by crawling around after landing. 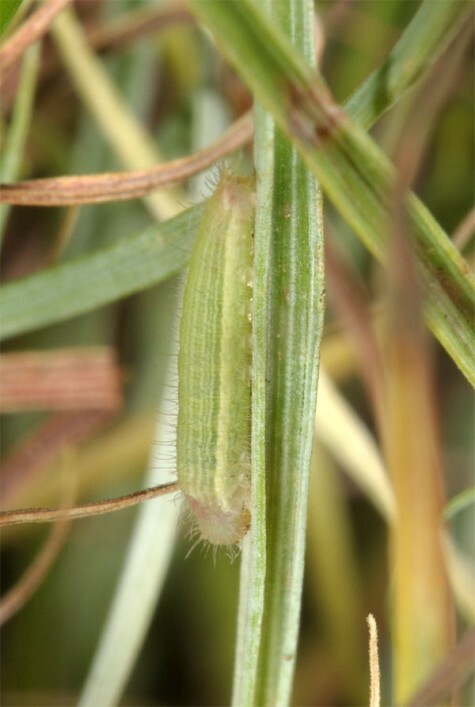 At this time the Hyparrhenia plants had still been desiccated, but preceeding rain guaranteed prompt shooting. 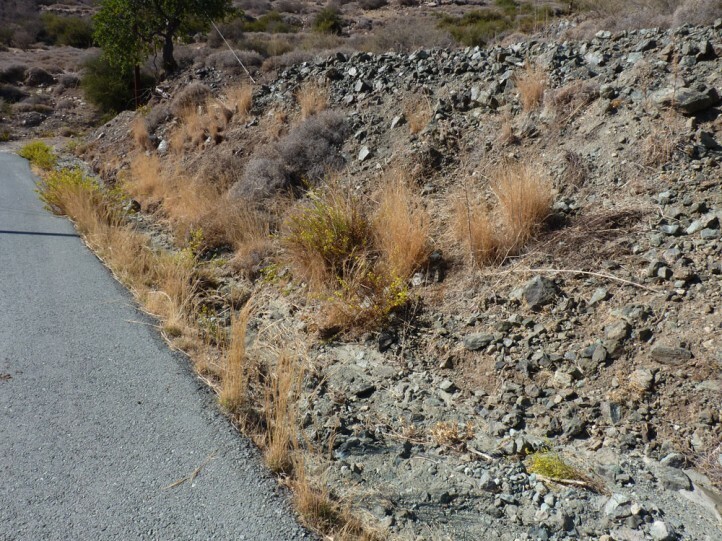 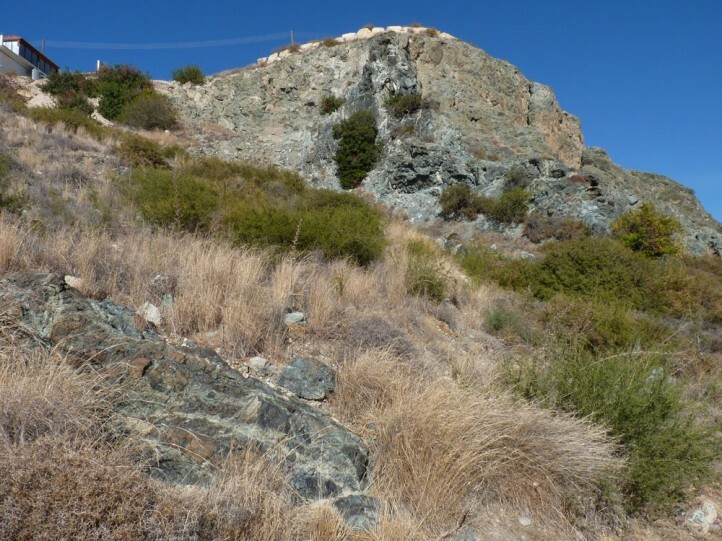 Ypthima asterope is especially threatened by overbuilding and touristic development in its few European outposts. 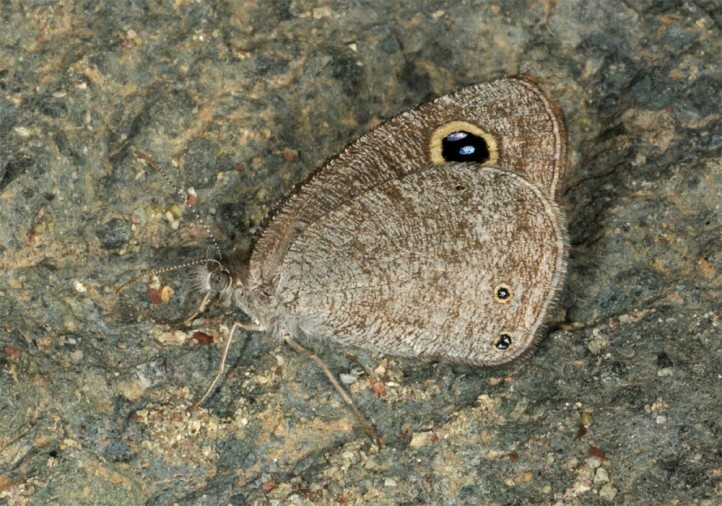 Ypthima asterope occurs mainly in Africa, the Near East and Arabia. 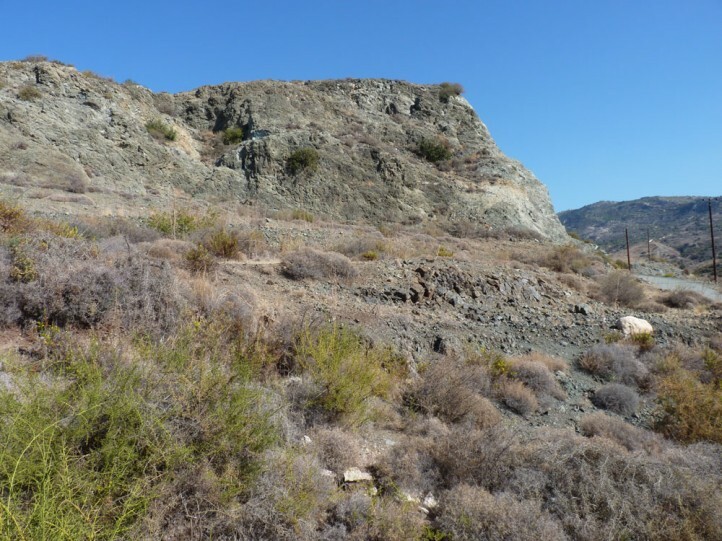 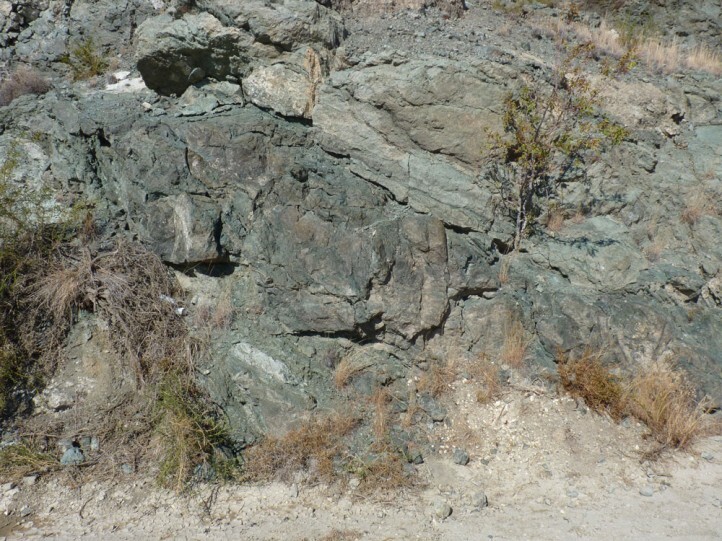 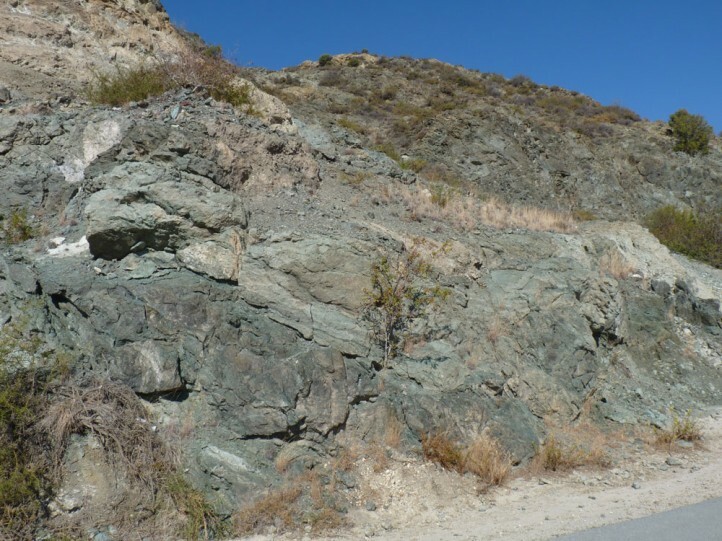 In the Mediterranean it is also found along the Southern Turkish coast, in some islands of the East Egean (Greece, northwards to Samos Island) and in Cyprus.